Yulia Chernyshova was born on November 25, 1975. She studied at the Saratov art school, which she graduated in 1989. 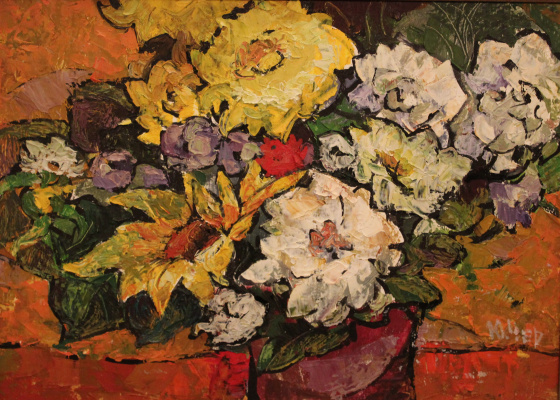 In 1991−1995 studied at the Saratov Art School (teachers AV Mukhin, VA Shkunova, AN Shkunov). She worked in an advertising agency. 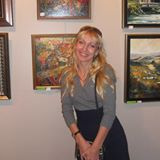 Participated in the regional exhibition (Saratov, 2000), the "Youth Exhibition" (Saratov, 2001), the All-Russian Exhibition "Young Artists of Russia" (Moscow, 2001−2002), "The Great Volga" (Volgograd, 2003), All-Russian Art Exhibition (Moscow, 2004). In 2002, the first solo exhibition "Abstract Reality" (KA Fedin State Museum) took place. Since 2002 — member of the Union of Artists of Russia. The works of Y. Chernyshov are in private collections in Russia, Germany, France, Israel, Canada. 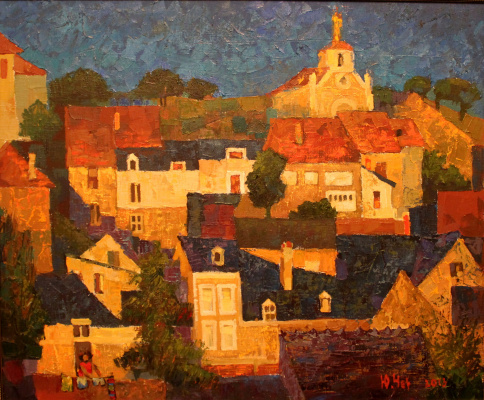 Already in 2002, the young artist made herself vividly and confidently, was remembered for her originality and courage in choosing themes unusual for Saratov painting, the brightness of the color palette. The world of everyday life in the paintings of Yulia acquires, or rather, reveals the properties of alluring and tart oriental quirks, hidden from the slithering glance of the average person. 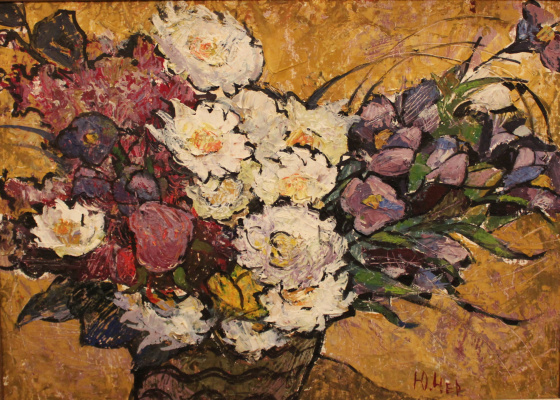 Exotic plots and motifs occupy an increasingly significant place in recent years in the work of the artist. Yulia Chernyshova theoretically does not justify her choice of images, themes and plots that, according to her, come to her unexpectedly. It seems that this is an unconscious inclination to a bright, unusual, original, but in its essence — to a dream and a fairy tale. Chernyshova’s world is fantastic and real at the same time, colorful and abundant. Abundance, even the excess of life — in any canvas, every inch of which does not tolerate emptiness. Even in the open decoration of some recent works, Y. Chernyshov demonstrates the ability to solve the space and composition of the canvas in accordance with not so much visible nature, but with its expressive personal rethinking. Plunging into the world of her own fantasies, the artist draws in it unexpected colors and images. The basis of the work of Yulia Chernyshova is the desire to find the Beauty of the world and generously endow her viewers with it.